Here are a few key points to help you know whether the University of Buckingham is the right choice for you. Unusually in the UK, the Buckingham model means that you can get your full honours degree in two years instead of three. With more focus on your studies, you’ll save a whole year’s accommodation and living costs. Find out more about our 2-year degrees. Our personal focus is one of the reasons students love studying at Buckingham. Our one-to-one tutorials and small group teaching format aims to support you through your learning while leaving you free to develop your own insights. This is different to many larger universities where big lecture theatres, and large classes as more the norm. Find out more about our student:staff ratio. Buckingham is rated ‘Gold’ in the only government endorsed league table for universities – the ‘Teaching Excellence Framework’. 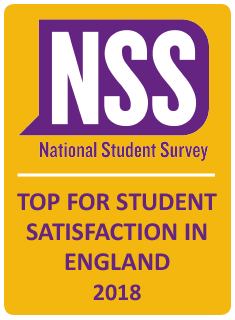 We are also proud to have been top or near top of the National Student Survey (NSS) in student satisfaction since 2006, and to have strong rankings for teaching excellence in other tables. 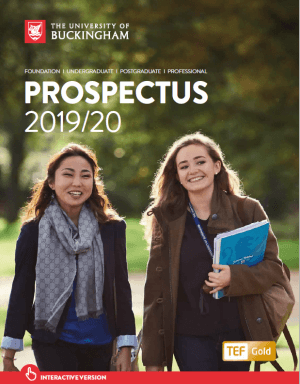 With fewer than 3,000 students and around 400 (teaching and administrative) staff in total, Buckingham is one of the UK’s smaller universities – many universities have student numbers in the tens of thousands. You won’t get lost at Buckingham, and you’ll be known by name in our vibrant community of academics, staff and students. We think it’s the perfect environment – small enough to be intimate, large enough to stretch you. Our Vice-Chancellor, Sir Anthony Seldon, lives on the campus and many students relish attending his ‘fireside’ evenings of discussion, argument and friendship. But being small in size doesn’t mean small in our ambitions or facilities for students. We’re a full-service university, with a huge range of sports and societies you can get involved with. If there isn’t something there that you want to do, why not create your own society or group? Find out more about our Student life and societies. Buckingham has one of the safest campuses in the country, according to The Complete University Guide. This means that our students live and study in a very safe and secure environment throughout their time at the University. It’s the best of all worlds – glorious rolling English countryside just a stone’s throw away; a vibrant local and university community in our wonderful town; and easy access to the bright lights in London, Oxford, and Birmingham if you want. Buckingham itself is a gem – beautiful ancient buildings mingle with modern facilities and plenty of local action for an evening out. But it’s not London, and it’s not London prices either. You’ll enjoy Buckingham if you want the space and clean air to fuel your academic success while at the same time having access to great facilities in a friendly community. Student Welfare provides personal and individual learning and welfare support to all students throughout their time at Buckingham. If a student is unhappy or worried, there is always someone who will listen and give support. We aim to ensure that our students’ years at University are happy, fulfilling and successful.